Check out the May Issue of the Hellenic Journal at http://www.HellenicJournal.org, available online. 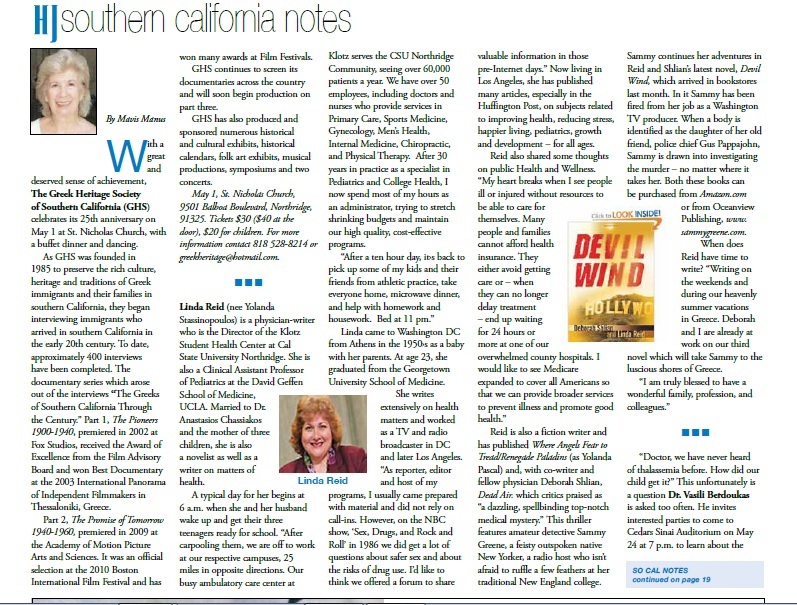 Southern California commentator Mavis Manus has highlighted “Devil Wind” and its Greek-American co-author Linda Reid. Mavis, please accept a warm thank you for your outstanding column from Linda Reid and Sammy Greene! Previous May news from Sammy Greene Next Audiobook version of Rabbit in the Moon by Deborah & Joel Shlian a winner!